After almost 37 years on S. 8th St., we have moved our office! Welcome to the online home of Sheehan & Sheehan, Lawyers, P.C. For more than three decades, they have represented the interests of their clients in and around the Springfield, Illinois, area. They have become known as ethical, dedicated attorneys with a drive to succeed. Patrick J. Sheehan and William J. Sheehan have practiced law together in Springfield, Illinois, for more than 30 years. The brothers formerly practiced with their father, William P. Sheehan, a founding member of the firm, who died in 1980. John C. Sheehan, the firm’s other founding member, died in 1967. Patrick J. Sheehan, III, a third generation attorney and son of Patrick J. Sheehan, joined the firm in 2014. William P. Sheehan, a third generation attorney, son of Patrick J. Sheehan, and brother of Patrick J. Sheehan, III, joined the firm in 2017. To achieve an AV® Preeminent™ rating is testament to the fact that their peers rank them at the very highest level of excellence possible. They work to live up to the legacy left behind by their well-loved predecessors. The attorneys at Sheehan & Sheehan, Lawyers, P.C. understand that dealing with the law can be intimidating, because of its complexity. They endeavor to put clients at ease by patiently taking the time to explain proceedings. This enables their clients to make clear and informed decisions about issues that directly affect their lives, families, finances and businesses. It is important to them that clients understand that they are not just a case number. Attorneys Patrick J. Sheehan and William J. Sheehan see every client as an individual with unique needs. Each of their legal issues presents singular challenges that they rise to meet with legal solutions that satisfy their clients’ goals. 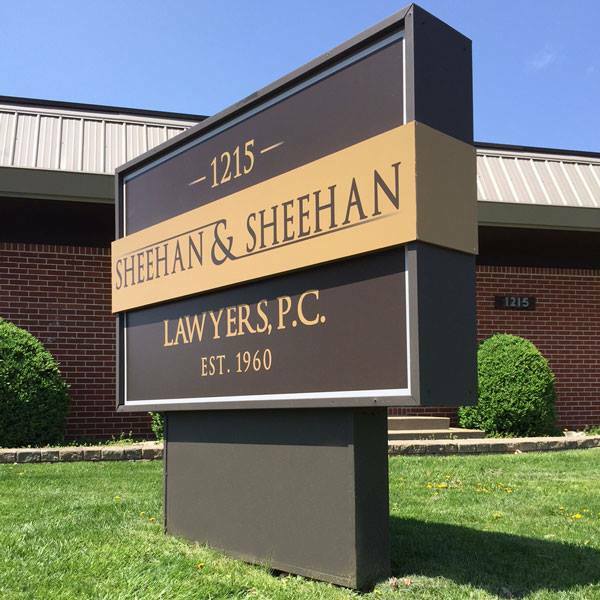 Sheehan &amp; Sheehan, Lawyers, P.C.